When it comes to a 7UP cake, there seem to be two classes of people - those who love it, and those who haven't heard about it yet. If you have tried a 7UP cake you will probably nod your head when I describe this cake as one of the best pound cakes you can make. 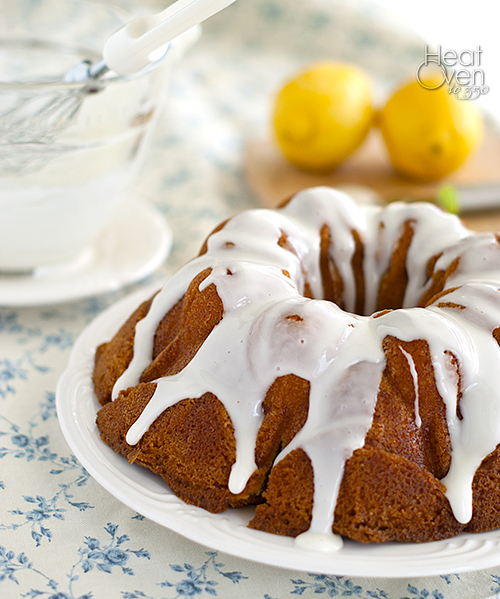 It is moist, buttery and perfectly sweet with just a touch of lemon flavor from the 7UP and lemon zest. It is easy to make and beautiful in presentation. I forget who in my family made it first (I think those bragging rights go to my sister) but it was shared and loved so quickly between the rest of the family that it became an instant family classic. My mom and I made the mistake of baking a 7UP cake when she was visiting me right after Amelia was born and it only took a single bite after it was freshly glazed to make us realize our error. A cake that good and that decadent combined with a couple women (one of them a hormonal nursing mom) stuck in a house with a newborn is probably not the wisest idea if you are considering calories. I remember it was with both sadness and relief that I ate the last piece. (My mom has never let forget that I ate that last piece, either.) This was the pound cake I mentioned earlier when I said Amelia preferred it over the chocolate cake on her birthday. Even though I love chocolate and I'm sure she will love it some day, too, given how wonderful this 7UP cake is I don't blame her one bit. Heat oven to 350 degrees. Grease and flour a 12 cup bundt pan and set aside. In a medium bowl, whisk together flour and salt. In another medium bowl, combine 7UP, eggs, lemon zest and vanilla. Using an electric mixer, beat the butter and shortening together with the granulated sugar until fluffy, about 2 minutes. With mixer on low speed, beat in 1/3 of the flour mixture. Beat in 1/2 of the 7UP mixture, followed half of the remaining flour mixture. Scrape the bowl and add the rest of the 7UP mixture, beat to incorporate, and then finish by adding the last of the flour mixture. Mix well to combine, scraping the bowl to make sure everything is incorporated. Pour batter into prepared bundt pan and bake until a toothpick inserted in the center comes out clean, about 1 hour to 1 hour 15 minutes. Let the cake cool in the pan for 10 minutes before turning out onto a cooling rack to cool completely. 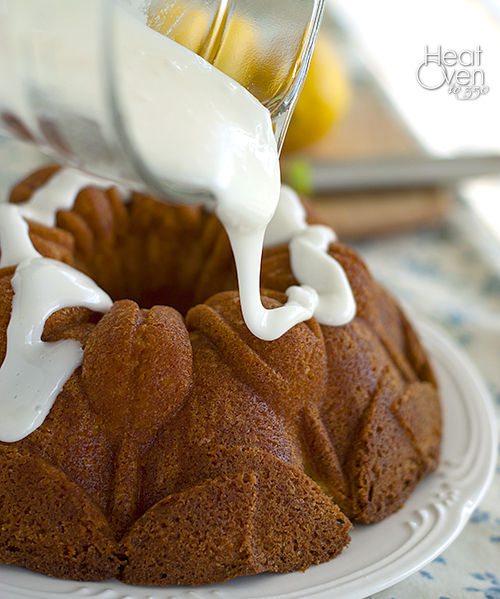 Once the cake has cooled, whisk together the powdered sugar, lemon juice and water in a small bowl. Drizzle over the top of the cake and serve. I'm the second class...the one that's never heard of it. It looks delicious, and that glaze is just killing me. Beautiful cake! We have Coca Cola cake down here in the South, but I hadn't heard of 7UP cake before. I love pound cake, though, so this sounds great. I love the pan you used, the cake is so pretty! I am from NY and new to the South. I will say I was introduced with reluctance to this cake and all I could say is "GOODNESS"!!!! This cake is something special. Its an absolute MUST TRY!!!!! Love the name of your web site! The cake looks great, my oven is pre-heating (yes, to 350). But, really, 4 servings? You and your friends must live on cake! Ha, I hadn't noticed my error. Trust me, you would be very sick if you ate 1/4 of this cake in one sitting. Not that I haven't tried . . . I would say there are at least 12 servings in this cake. Sorry for the mistake. Thanks for letting me know! I'm confused by the recipe. It says in a second bowl to combine 7up, eggs, and lemon zest. Post yep of the instructions reads to beat in lemon zest and vanilla, but the zest was already added to the 7 up mix. The recipe then proceeds to instruct to breast in half of the 7 up mix. I'm sorry...I'm not trying to be difficult, but I'm a sticker when i bake and until I do a recipe the first time and I'm comfortable with it i need clear directions. So did I misunderstand something? Thanks for the help! Sorry for the confusion Janie. I usually add the lemon zest to the 7up and eggs, not after creaming the butter, shortening and sugars together. I'll edit the recipe. Thanks for noticing! Thank you so much!! I'm going to bake it today! I am going to be making this cake but I have a question. 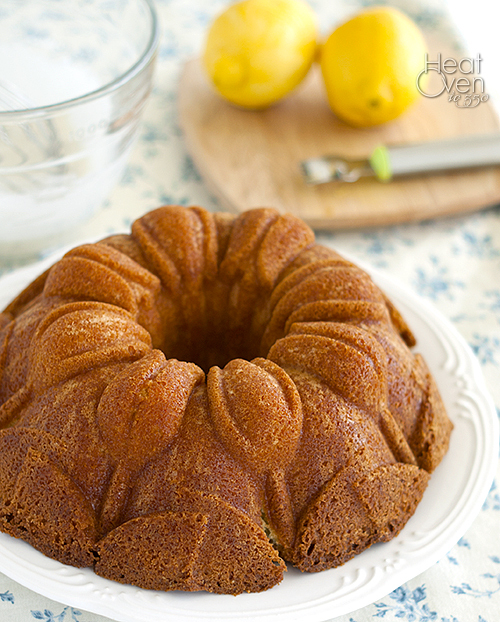 Most pound cake recipe use baking powder or baking soda, How does this one rise with out either of those ingredients? Good observation! There really is no baking powder or baking soda. The bubbles in the 7Up give it the lift. I was skeptical, too, but it really does work. Glad you asked because it is totally different from any other recipe I've seen. I make this cake but I put 1 T of butter flavoring and 1T of almond flavoring. Like yours it is mouth watering. Every time someone gose by it they take a piece! Is it necessary to shake or tap after it is put in the pan? This is a tip I was told to do and had great result of a moist not heavy cake.